The Design-Thinking-Kids-Club presents its work at the Summer Party of the Berlin Bilingual Secondary School in Berlin Lichtenberg on July 8, 2016 from 2-6 p.m. How can we improve the daily life at our bilingual secondary school? Students of year eight and nine mulled this question in weekly workshops over the Summer term. After intensive field studies, the students defined their own challenge: How can we create and run a food dispenser in the school, so that students do not go hungry anymore? And how can we make it useful for the whole school? Their answer is called fOOd-i, a food dispenser and service based community tool for the school. At the annual Summer party fOOd-i will be presented to the general public for the first time. This is also our first crucial test with students, staff and visitors. Come along – we are very curious to hear your feedback! The Design-Thinking-Kids-Club aims to raise the creative confidence of students and teach them tools to use in shaping their surroundings. Not only because this is useful for their future, but also because we like to hear their ideas.The project was jointly developed by the school and myself, and is funded by the Berliner Projektfonds Kulturelle Bildung. 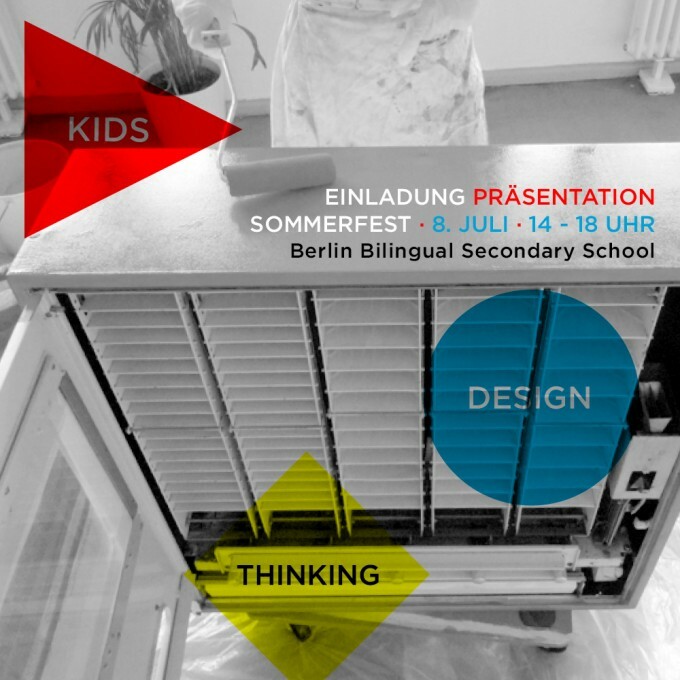 The activities of the club are routinely documented on the project website www.design-thinking-kids.de (in German) and will be part of the presentation at the Sommerfest. See you there!